Ten Lists: A Workbook for Anxiety features ten lists of suggestions and things to try for those who struggle with anxiety. 14 pages, hand made and sewn. 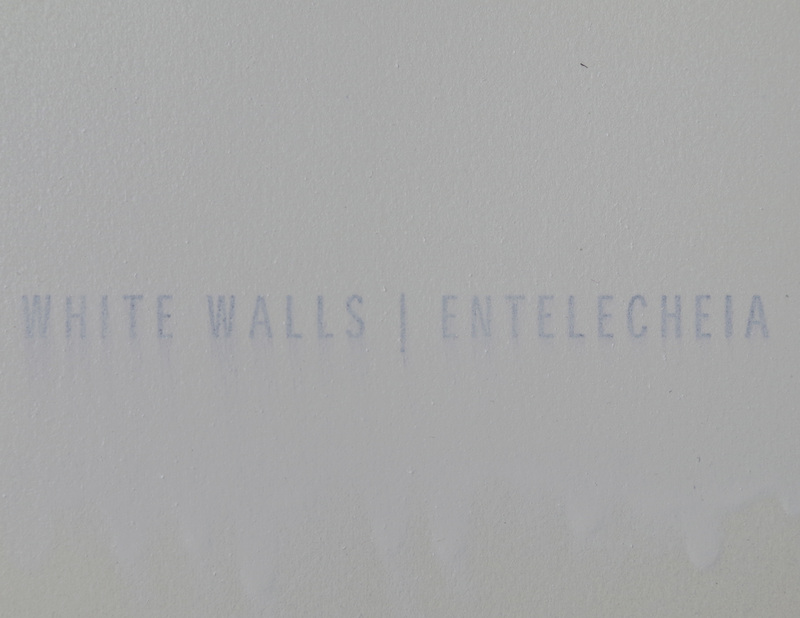 WHITE WALLS | ENTELECHEIA is a collaborative 11-page artist book featuring photographs by Tim Albon and poetry by Danielle Alexander. Limited edition, copies no longer available. 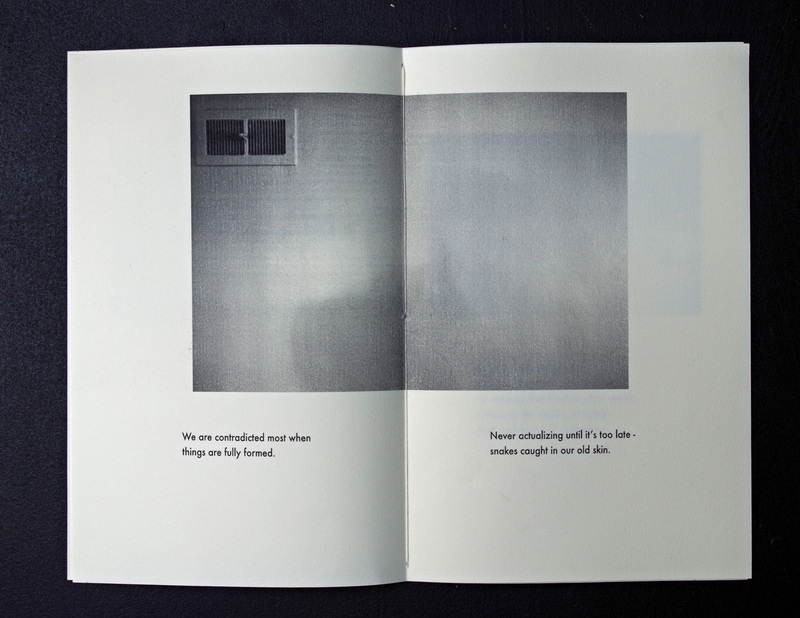 Notes on Process: A few weeks ago, Tim sent me a collection of photographs of white walls that he had taken and asked if I would write a poem for them. He was thinking the poem would be about how when we long for something hard enough, sometimes the longing can become more important than the thing itself. 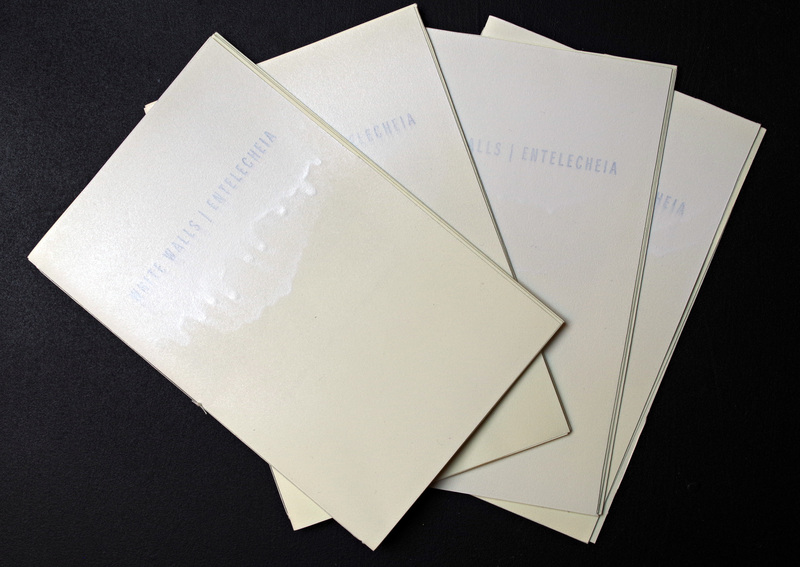 Exploring this concept lead me to the word entelecheia, which is the idea that everything contains its own entire universe within it – in terms of potentiality and actuality. Lately, I’ve been really into using technical science and art terms in my poetry alongside concrete, tangible imagery. So you’ll get a bunch of that. The poem is darker for me, with snakes and sepsis and damning, but I hope that it captures the longing and difficulty between actuality and potentiality that Tim originally intended. 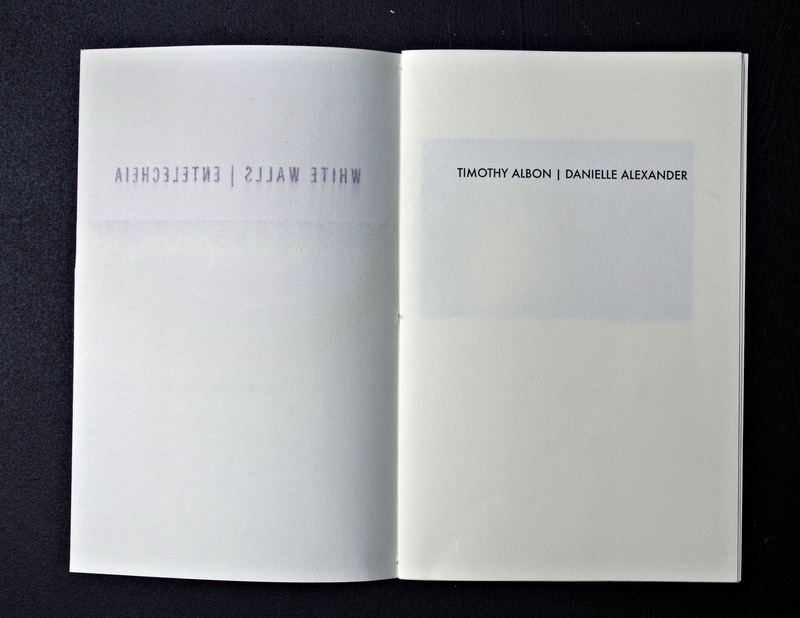 This is the second book we’ve worked on together. 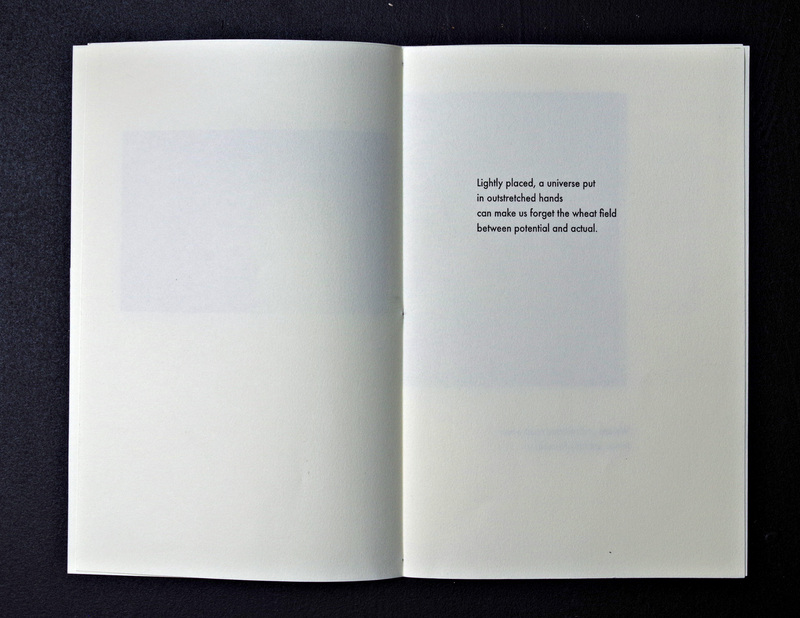 The first one, which just features one short poem, can be found here.